It would make a depressing conversation piece in any home. Little known fact: The blockbuster hit Schindler’s List was based on a real event known as the Holocaust. And now an original copy of the movie’s namesake list — one of only four in existence, and the only one that isn’t locked away in a museum for “posterity” — is being sold by a private collector on eBay. You’ll have to pick it up in Israel, and it’s going to cost you at least $3 million. 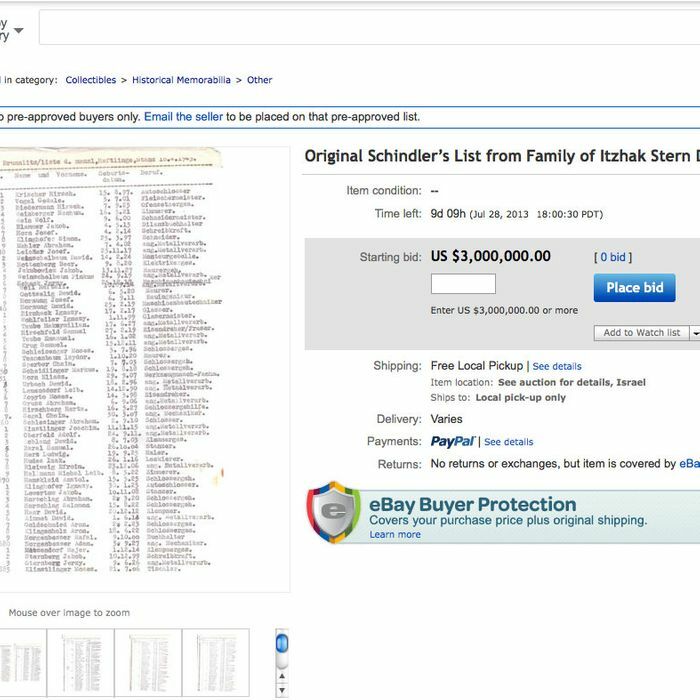 But what better way to honor the selflessness of Oskar Schindler, who went broke saving thousands of Jews from extermination, than by giving millions of dollars to a rich guy for a piece of paper?